Overview: Got stress? Parenting is stressful. And homeschooling can increase our stress load exponentially. It’s important to learn to de-stress to maintain our sanity. Here are some tips! Homeschooling is hard work. Yes, it’s a blessing. Yes, we enjoy it. But it is also a difficult job and one that can be extremely stressful if we let it. There is the constant concern that we aren’t doing enough or that our children are behind in some way. There is almost no alone time in which we can gather our thoughts. The house is harder to maintain because the kids are home messing it up all day long. It’s like being a first-year teacher for multiple grades and we do it over and over, year after year. Being a mom can be stressful in itself; but, being a homeschool mom increases our stress load exponentially, especially on those days when nothing seems to go right and we feel incredibly behind. De-stressing is essential! We know there will be bad days. When this happens, know in advance how you’d like to handle it. When your best-laid plans go haywire, how can you recover well? Have a field trip idea or a super fun lesson waiting in the wings for you to pull out and spring onto your children. Sometimes just a change of scenery or plans will help to get everyone back on track. Once you’re feeling stressed out it can be hard to think clearly. Think of five or ten relaxing things that you enjoy doing and write them down. Try to fit some of these things into your schedule on a regular basis. If you don’t have the time to enjoy them very often, at least keep the list handy for when you feel the tell tale signs of being stressed out. Be sure to share this list with your husband so that he has ideas to suggest to you when he sees you are overwhelmed. He will probably notice that you are feeling out of sorts before you do. We all need a few minutes alone each day in order to maintain our sanity. If our children are young, we need to take time for ourselves while they are napping. If they are older, we can train them to read books or play outside or engage in quiet activity while we take a break. Train the children to leave you alone during this half hour or hour of time. If your kids are old enough to be left alone, you might want to consider taking a walk by yourself. These few moments of silent time, where demands aren’t being made on you, will go a long way toward decreasing your stress level. The quickest way to burn out is to attempt to do everything on your own. Ask your spouse to pitch in and help out with certain aspects of homeschooling. Ask the grandparents to take the kids and give you a break. Ask another homeschooling mom to swap childcare duties with you so you have a chance to run errands on your own. Ask your family to pitch in with more of the household chores. Some of us are blessed enough to have people who ask how they can help. Most of us, however, will need to ask people to help. Don’t be afraid to ask! People don’t know we could use help unless we tell them. Everyone is different. Our children are all unique and we are unique as well. 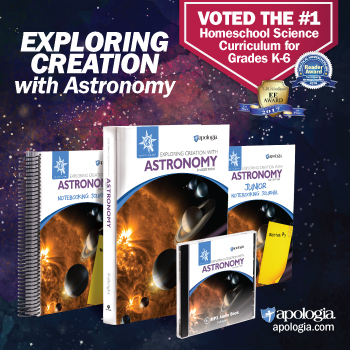 Our homeschooling experiences, while similar, will not be exactly the same as anyone else’s. Some families will excel in areas in which we struggle. Some will spend time doing many things that don’t even hit our radar. That’s alright. We all have different priorities, different reasons for homeschooling, different strengths and different children. We need to stop comparing ourselves to other families and run our own, individual races. Some subjects, such as gym, are hard to teach at home. There are many homeschool co-ops all over the world which offer various types of classes and activities. You may want to investigate the ones near you and evaluate whether or not it would be good for your family to join one. In years past, we were part of a co-op which met on Friday mornings every other week. The cost was minimal and the fellowship was great – for myself and for my sons. I found that having an outlet where I could visit with other homeschool moms on a regular basis was very positive. You may discover the same thing for yourself! There are many different opportunities for homeschool children. You may want to consider finding one where you can drop off your children at various times to give you a chance to be alone or to run errands on your own. We have found several awesome opportunities such as hands-on science classes and nature classes which have given my boys a chance to learn from someone else and which gave me a chance to catch up on my writing. We’ve enjoyed these opportunities when they present themselves. This is another great way to fellowship with other homeschool moms. If you join a support group, be sure you come away from it feeling energized and encouraged rather than feeling like you’ve just attended a complaining or comparing fest. If you feel like you could use more ideas, or even just some peace of mind, I highly encourage you to read Teaching from Rest: A Homeschooler’s Guide to Unshakable Peace by Sarah Mackenzie. This book contains practical tips for reducing stress, worry, and anxiety while homeschooling your children. It’s extremely encouraging! Being a homeschool mom can be quite stressful. With a little bit of thought and preparation, however, it can be an enjoyable journey in which us moms and our children can benefit immensely over the long run. If you’d like to learn even more ways to feel LESS stressed and to experience more JOY in your life, be sure to check out my new video course, Your Path to Feeling Less Stressed! Question: Are you stressed out? What ways have you found to decrease the stress in your life? Please leave a comment below. So true!!! I’m glad you’ve found something that helps. So important! Thank you! This is such a helpful article. The stress really has burnt me out! So encouraging. I just found your site recently and only today got to look at it. My boys are in bed and I find myself reading through several posts. We homeschooled our 12 yr old in 6th grade last year while our 11yr old stayed in the Christian school they had attended since Kindergarten. I had committed to substituting for the recess duty for several times but ended up working almost every week. I felt bad for my son at home, he was figuring most of it out himself. It was rocky at first but he ended up doing so well, except for book reports so we spent the summer finishing those. My younger son asked to homeschool this year so they are both home. Due to the incompletes, they have not sent my older son’s curriculum yet and I am stressing more by the day. I read your post today, and I reminded myself that God has a plan. This is no surprise to Him. Thank you. Until his curriculum arrives, I would have him do a lot of reading and hands-on stuff. Let him explore a topic or two that interest him. Look for some projects on Pinterest that he can do which are related to that topic. Go to the library and let him pick out some books that interest him. And pray. God will let you know what you need to do. Have a fun year!